Quietly, the French Ministry of Higher Education last month signed off on implementing a law that had been passed nearly a year earlier but had been gathering dust within the bureaucracy. Many in the ministry had hoped that it would die a quiet and unnoticed death. Following a model developed in Texas and California, the French government will now offer places at the top universities—France’s grandes écoles, or great schools—to the top ten per cent of students in every lycée in France. This represents a departure for a country that has always proudly maintained an inflexibly meritocratic entrance system. In American terms, the Texas-California model actually represents a moving awayfrom traditional affirmative action, insuring a measure of diversity by offering help based on socioeconomic and not strictly racial grounds. But, for France, what is ambivalently called discrimination positive—affirmative action—is something radical. France, with its revolutionary, republican spirit of egalité, likes to think of itself as a color-blind society, steadfastly refusing, for example, to measure race, ethnicity, or religion in its censuses. And yet France is, undeniably, a multicultural, multi-ethnic, and multiracial society, and has been at least since the nineteen-fifties, when large waves of immigrants began arriving from its former colonies. It has significant problems of discrimination, and of racial and economic segmentation, but limited tools to measure or correct them. The obvious answer—to many American scholars and to some French ones—is to begin to gather better data. “No one in France can say how many blacks live in this country,” Louis-Georges Tin, one of the founders of CRAN, the Conseil Représentatif des Associations Noires, or the Representative Council of Black Associations, wrote in 2008, when there was a big push to collect racial statistics. “A wide range of unofficial statistics circulate, and the numbers range between one million and six million. How approximate! It’s as if the U.S. Census Bureau said the United States has between a hundred and six hundred million inhabitants.” CRANcommissioned a private research firm to carry out a study, which estimated that three per cent of the French, or roughly 1.8 million people, are black. But this was based on a sample of about thirteen thousand people—a far cry from a national census. Presumably, they are not talking about their current Prime Minister, Manuel Valls, who was born in Barcelona and did not take French citizenship until he was twenty. Or the current mayor of Paris, Anne Hidalgo, who was also born in Spain. The anti-immigrant sentiment is directed mainly at those from Africa and Asia, even if they are French citizens and their families have been in France for generations. It is a constant source of annoyance—and sometimes offense—that French people of North African descent are frequently asked, “Where are you from?” when they often have parents born in France. The demographer Hervé Le Bras recently republished a smart little book called “L’Invention de l’Immigré” showing that the term “immigrant” has radically changed its meaning over time. In the past, France had essentially two categories of people: foreigners and French citizens. If a person born outside France assumed citizenship, he or she passed from the first category to the second. Once there was substantial immigration from Africa, however, people began increasingly to use the term “immigrant” even for native-born French citizens. 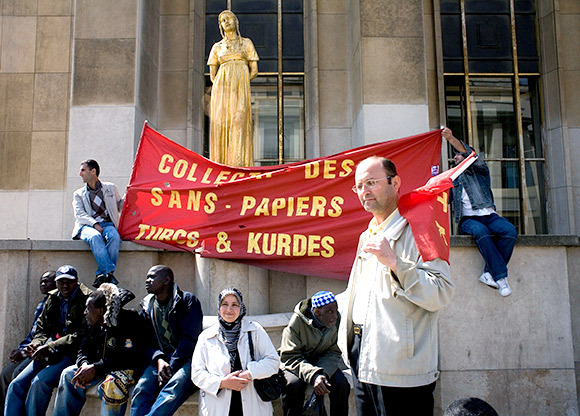 Many French people will tell you that these immigrants are different; they point to distinctions of religion, and of cultural and colonial history. It came as a shock that many second- and third-generation French rooted for the soccer clubs of, say, Algeria or Morocco rather than of France. Whether the alienation of many second- and third-generation immigrants is the result of a desire to preserve a distinct culture or of their isolation and discrimination within French society is a matter of intense debate. Various small studies have shown that job applicants with obviously North African or African names are far less likely to get called in for interviews than those with traditionally French names. A study funded by the Open Society Institute showed that black and North African youths were much more likely to be stopped by police in France’s equivalent of stop-and-frisk. But, again, those researchers could not use official data—which doesn’t exist on the subject. Instead, they spent entire days hanging out at Paris subway stops where French police often conduct these kinds of searches, noting the appearance of the people they saw stopped. “We can produce general studies that show, for example, it is 2.5 times harder for the descendant of an immigrant to find work than someone else, but we can’t gather data about whether a particular company is engaging in discriminatory hiring or promotion practices,” Patrick Simon, the research director at the Institut National Etudes Démographiques, or INED, said. More than sixteen hundred French companies have signed a Diversity Charter since 2004, vowing to adopt more diverse-hiring practices. But without real ethnic and racial data, there is no reliable way of knowing whether there was any follow-through. Far from reflecting diversity, such statistics would oversimplify it. Classification along a single line is bound to be reductive and inappropriate. It would invent groups that do not exist, create divisions where there is proximity, suggest uniformity where there is diversity, and erect boundaries where there is continuity. Ethnic statistics would have the effect of bringing in the notion of ‘race’—whose non-scientific character and danger are well known by all—and to foster intercommunity conflicts. “First of all, it’s important to understand that France is not exceptional,” Jean-François Amadieu, a professor of sociology of the University of Paris I, told me. “The U.S., Great Britain, and Canada all keep racial statistics, but almost no country in Western Europe does. And you can understand that, with our history of Nazism, Vichy France, the idea of starting to keep racial statistics again awakes very bad memories here.” Moreover, Amadieu argued, there are remedies to discrimination that have no need for racial categories, like the new law regarding the grandes écoles. For the moment, however, race and ethnicity seem too explosive to discuss frankly. In developing its alternative to affirmative action, France has developed its own euphemistic language: neighborhoods with a high percentage of descendants of immigrants are often referred to as quartiers sensibles, or sensitive neighborhoods, and their school districts are called zones d’éducation prioritaire. Every country has its own tangled history with race. In the U.S., we try to make a virtue out of our hyper racial consciousness, turning it into a willingness to confront and right historical wrongs; the French deal with theirs by using the old republican ideas of “one France, indivisible” to cover over very deep differences. The question is whether they can also heal them. Photograph by Manca Juvan/In Pictures/Corbis.